OSZ files - these are zip files with the tiles in the sub-directories and an information about the size and the included zoom levels. OSZ files should contain around 5000 tiles, otherwise the opening takes too long or it may not be opened at all. Simultaneously using multiple maps can be difficult. But the access is very fast, once it's open. Sqlite databases - the formats mbtiles (Mobac: MBTiles SQLite) or sqlitedb (Mobac: Big Planet Tracks SQLite, OSMAND SQLite or RMaps SQLite) can be used . 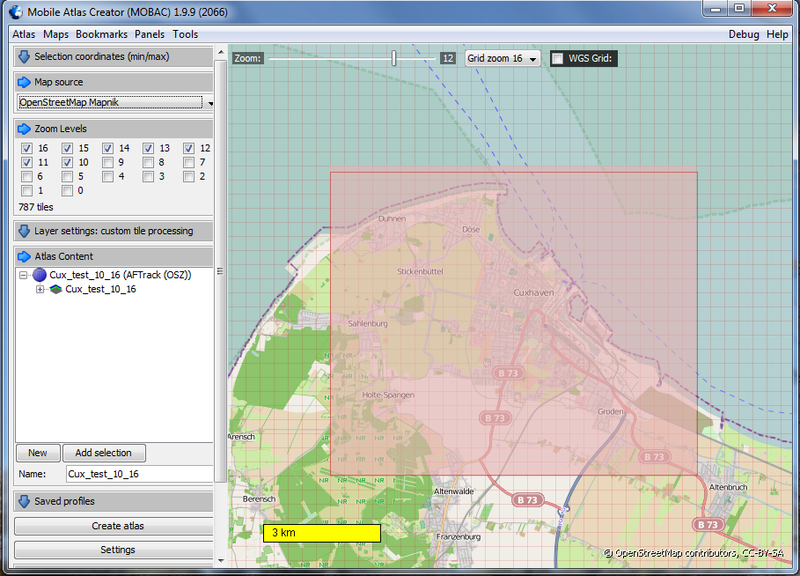 Note: for the Symbian version of AFTrack only OSZ is available. For the generation the programs MobileAtlasCreator (download) and Maperitive (download) are used. It makes sense to install both programs in a folder to keep track. Mobac gets the required tiles from a data store (online or offline) and binds them together in the destination format. The completed file is found in the directory Mobac atlases named Cux_test_10_16.osz. Also, several selections are processed together. The servers or the users of it are not very happy when large quantities to be picked up at once. Some OpenStreetMap servers block these programs - see the OSM wiki. After completion, the tiles are in the directory Maperitive/tiles . On the command line you can generated also a mbtiles database . A more complex example for the play together of both programs. It should be generated a tile container for Crete Island in the zoom levels 10 to 16. Mobac has to know the new map source. This requires a XML file that can be inserted (download) and copied to the Mobac mapsources folder. After a restart of Mobac this new source is available. Now you simply have to select the new data source and the atlas are created. The OSZ format is created with 17 regional maps. For MBTiles with SQLite it is only one file with all of the tiles. So far, to generate tiles the raw data were downloaded directly from the Internet. To prevent this you can download the raw data for all areas to the local machine. 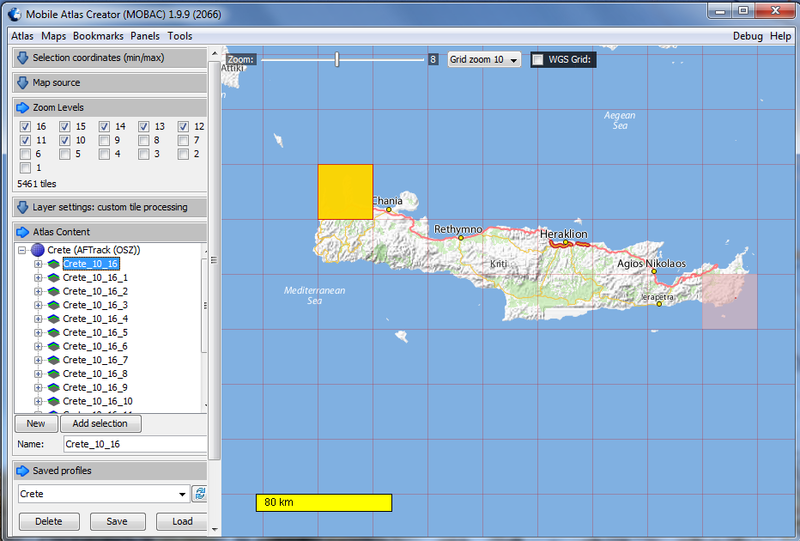 For the Crete example we need the file greece.osm.pbf downloaded from the Geofabrik or greece.osm.bz2 from CloudMade. The additional generation is now controlled by a script (Download). The commands can be typed in the command line of Maperitive. And generate over again the tiles container with Mobac - see above. Start Maperitive and select an area. Then choose the tools/generate hillshading menu. Deselect the web map. It was only for finding the right area. The background should be black now. And you have a map.mbtiles in your tile folder. sqlite3 maps\map.mbtiles "update metadata set value='overlay' where name='type';"
sqlite3 maps\map.mbtiles "select * from metadata;"
sqlite3 maps\map.mbtiles "update metadata set value='My Hill Area' where name='name';"
Use the same area for this sample. 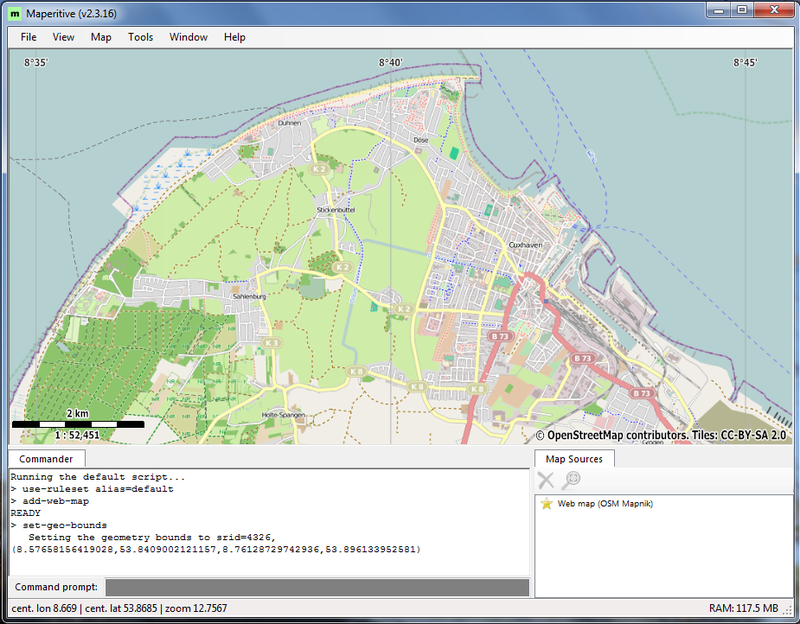 And load now the OSM data from the map menu. 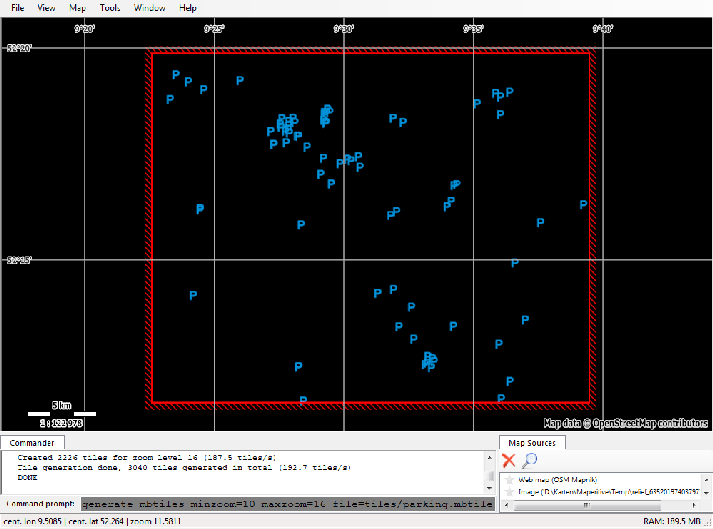 And again do the sqlite command for making this map an overlay.